Home / Entertainment News / ORGANISERS OF VODAFONE MUSIC AWARDS SHOWED ME RESPECT - Diana Hamilton. ORGANISERS OF VODAFONE MUSIC AWARDS SHOWED ME RESPECT - Diana Hamilton. Ghanaian based UK gospel musician Diana Hamilton, said organizers of Vodafone Ghana Music Awards showed her respect last year in relation to her hit single "Work In Progress"
The gospel musician made mention of some awards taken so far including one from Ghana gospel music awards but none from Ghana music awards which steamed up controversies on the fact that "work in progress" , a single she released early last year didn't pick an award. 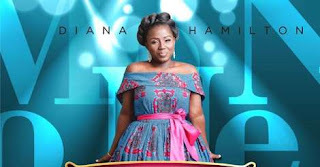 Diana Hamilton in an interview on peace FM's entertainment show last Saturday stated clearly that, she picked up a nomination but got a call from the organisers of Vodafone Ghana music award explaining that because the song was released in the UK in September means it fell outside the year calendar and that according to her they showed respect and she had no reason to condemn because she thought releasing it in January was within the calendar of that year and had pre released it as a launch in UK but they told her it was released regardless of the location and she was cool with it. Concluding, Diana Hamilton said her greatest reward is not a trophy but the impact her music have on society.